Teaching your child the organization skills that are necessary for lifelong success and productivity is enormously valuable. Organization is an essential skill for school-age children who must meet increasing educational demands. A child with solid organization skills can manage his daily responsibilities and has the ability to plan ahead. Parents must work collaboratively with their child to develop an individualized daily schedule. Checklists and calendars are other useful tools children can implement to increase their organization levels. Motivate your child to learn organization skills by explaining the benefits. Children who are organized spend less time on homework assignments and experience less frustration. Include your child in the development of organization strategies to promote a sense of ownership and personal responsibility. Avoid having your child view organization as a punishment by maintaining a positive outlook. Develop a daily schedule that allows your child to effectively manage her time. Assign a specific time each day for homework and studying. Nationally certified school psychologist Peg Dawson, Ed.D., advises that some children may want to complete their homework as soon as they arrive home when they are in “school mode,” while others may need time to relax. In addition to homework, your child’s schedule should also list after-school activities, playtime, chores, meals and bedtime. Display the child’s schedule on a poster board in her bedroom or a central location in the home. 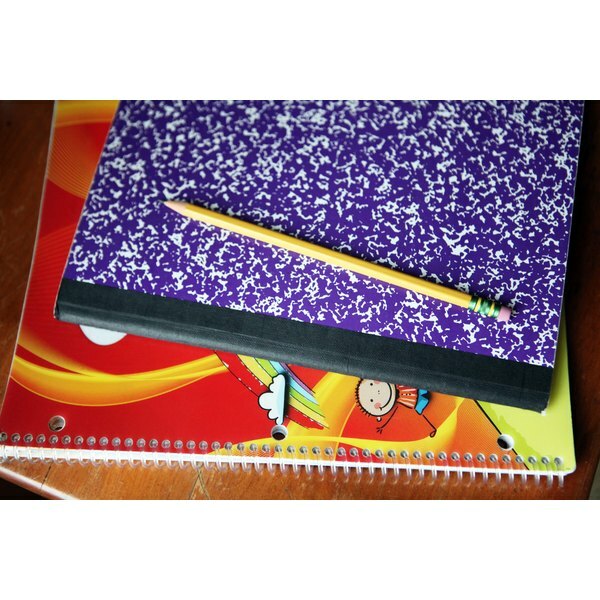 Teach your child how to make a daily checklist by using a planner or notebook to list homework assignments and other daily responsibilities. Encourage the child to check off each task as he completes it. Break down large assignments into small manageable tasks. If your child is assigned a book report, encourage her to plan ahead. Have your child choose a book, make time to read each day, take notes and start writing up the report well before it is due. Remember to add each task to the child’s daily checklist. Track your child’s scheduled activities on a wall calendar. Include upcoming school tests and assignment due dates. Children benefit from visual reminders. Your child can count down how many days are remaining until each event. Prepare your child for the next day by reviewing the schedule of activities. For example, if your child has gym class, have her lay out an appropriate outfit and her sneakers. At the end of the night, ensure that all homework is completed and is packed away in your child’s book bag. Planning ahead will help reduce stress and confusion during the morning routine. Continue to encourage your child’s organization skills and to monitor his progress. According to Richard Gallagher, Ph.D., and the staff of the NYU Child Study Center, a child’s skills need to be “taught, practiced and reinforced in order to become a part of the routine.” Provide reinforcement for your child’s organization skills through earned activities, rewards and praise. When teaching organization, parents must set a strong example so that children can learn from and model these skills.